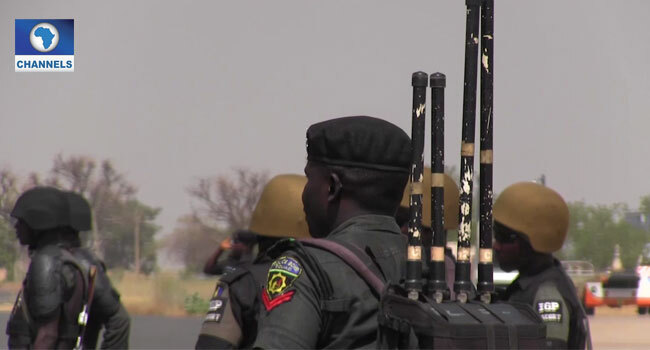 Nigerians on social media are voicing joint reaction calling for an end to Special Anti-Robbery Squad (SARS) after an announcement by the Nigerian Police Force Public Complaint Rapid Response Unit (PCRRU). The PCRRU on Saturday, December 2, using the official Twitter handle asked Nigerians to feels free to voice there complains about the operations of SARS. “Do you have any complaints about your contact with SARS? You don’t need to know their names, all we need you to provide are details of the occurrence (action/act) with DATE, TIME & PLACE. Special Anti-Robbery Squad (SARS) #BailisFree #NoToImpunity. Please share this message.” the tweet read. Do you have any complaints about your contact with SARS? You don’t need to know their names, all we need you to provide are details of the occurrence (action/act) with DATE, TIME & PLACE. Special Anti-Robbery Squad (SARS) #BailisFree #NoToImpunity. The channels listed on the poster are, 08057000001 and 08057000001 for calls; 08057000003 for SMS and WhatsApp messages; 2BA2B5DE for BlackBerry messages with the assurance that all complains will be treated swiftly. In reaction to this, some Nigerians did not wait to call the complaint lines as they eagerly expressed their opinion on Twitter. With claims of being a victim of police brutality, many narrated various sad ordeal in the hands of SARS. While some shared videos of police brutality, others narrated sad tales of how they have been maltreated one way or the other, calling for an end to SARS. Pls wats wrong with dis picture. Even as a woman you are not safe from SARS and their wahala. An innocent woman selling puff puff was shot around Palmgroove sometime this year, Y’all remember? He was the eldest only son in the family.